This week’s release PURANI JEANS also treads on the same territory of the time tested premise of two best friends falling in love with the same girl and the resulting complications which arise after that. The film is based on the belief that ‘friendship is like a pair of old jeans- the older it gets, the better it becomes’. The director and the film’s story writer Tanushri Chattrji Bassu, clearly knows as to what she wanted in this youth drama and she delivers it without any fumble. It would have been great though if she had added some more twists and turns in this otherwise predictable film. All in all, this film is worth a watch once… all for the sake of friendship. Debutante director Bassu’s story, mounted on a pretty canvas, with zestful music (Ram Sampath) doesn’t quite make the cut because she unabashedly opts for a ‘comfort fit’ that’s so out of style. The plot is ‘skinny’ with a spattering of cliches. The storytelling is inconsistent (too ‘straight’), and the poorly sketched characters with and their below average performances wears you out further. Yes, the concept of dosti symbolized as purani jeans is as old as cowboys in the wild west. But this denim offering leaves you ‘blue’ and ‘uncool’. Tanushri Chatterji Basu’s story about a girl being the cause of two friends drifting apart is as old as the hills. The only thing is that in this film, there’s an additional track of one friend’s dysfunctional family. Her screenplay is confusing sometimes, as the drama unfolds in flashbacks. Even otherwise, the screenplay does not touch the heart as the conflict points are quite half-baked and don’t seem too genuine. On the whole, Purani Jeans is too dull and predictable to make any impact at the box-office. Its poor initial will only add to its tale of woes. Flop show! I went into ‘Purani Jeans’ expecting nothing, and was rewarded by a film that kept me with it. The storyline is solid even if not terribly new. It has believable characters, and an arc that moves and is moving. The film is set in the 90s, and much of the film is spent looking back, but the nostalgia never becomes mawkish. 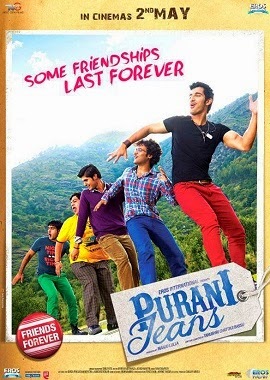 I enjoyed ‘Purani Jeans’ for its freshness in the face of familiarity, and a story that holds all the way to the end. Purani Jeans is easily avoidable. The film offers you nothing interesting or knowledgeable for that matter. 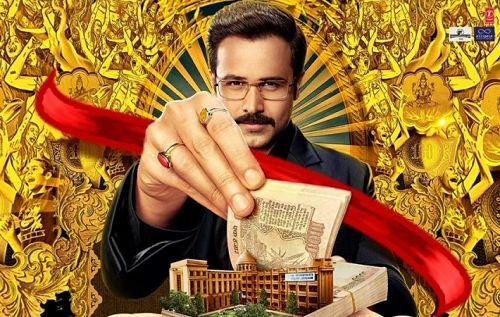 It is a film that you may watch if you have absolutely no plans and still want to enjoy the experience of sitting in a theatre and munching on popcorn without wondering what is going on the screen.